Being a graduate student in scientific research can be a tough gig. Long hours spent toiling away in the lab for little pay and lukewarm interest in science from the public doesn’t exactly make becoming a doctoral candidate a trendy choice. But OHSU graduate student Samantha “Sami” Friedrich loves behavioral neuroscience nonetheless. She’s spent the last three years examining how genes turn on and off to help birds to learn to sing. Her pursuit of knowledge has been made easier by the ARCS Foundation Oregon. 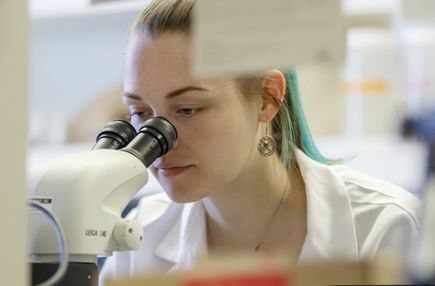 Friedrich is one of 133 OHSU grad students who have received a total of nearly $2.2 million from the organization since 2004. Its all-female members offer this support because they believe today’s science learners will become tomorrow’s innovators and problem solvers. The group recently announced a $1.5 million endowment from its former member and software engineer Jill Josselyn, who passed away in 2017. The endowment offers a solid, sustainable foundation for the group’s future support of science, said ARCS Foundation Oregon Co-President Joan Foley. ARCS currently provides a $6,000 award for three consecutive years to selected Oregon students, but the endowment is prompting them to discuss potentially increasing award amounts or the number of awards, Foley said. Friedrich appreciates that ARCS awards are unrestricted, meaning they aren’t limited to tuition or fees. That’s why Friedrich has been able to pay for costly asthma medications and visit far-flung family members – all of which has improved her quality of life while in grad school, she said. 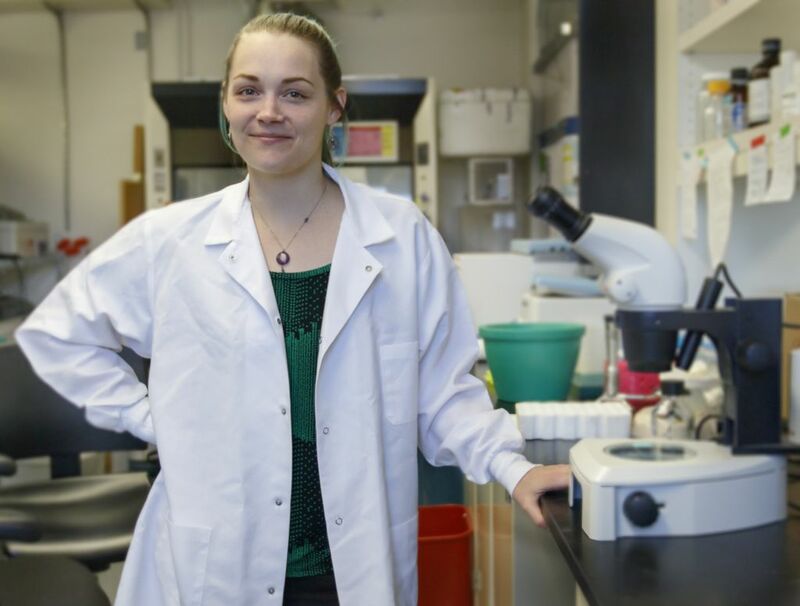 “Knowing my scientific pursuits are supported by ARCS deepens my sense of pride and responsibility to my community,” said Friedrich, who plans to complete her Ph.D. in 2020. The organization doesn’t just alleviate the financial stress of grad school, said Allison Fryer, Ph.D., the associate dean of graduate studies for the OHSU School of Medicine. “All the ARCS students say during those dark days when the lab isn’t great, it’s a beacon toward the future that says what they’re doing is valued,” Fryer said. Fryer added ARCS’ emotional support includes attending and bringing flowers to the thesis defense presentations of awardees and organizing social gatherings with students and ARCS members. ARCS Foundation Oregon has provided more than $3.7 million to 201 doctoral candidates at OHSU, Oregon State University and the University of Oregon since 2004. It is affiliated with the national ARCS Foundation, which has 15 chapters in 12 states and benefits graduate students at 51 different universities across the U.S.